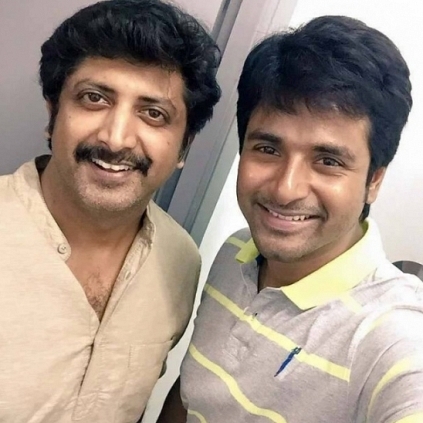 Mohan Raja - Sivakarthikeyan's untitled project, funded by 24AM Studios already boasts big names in its star cast. Nayanthara plays the female lead in this project, while Fahadh Faasil, Sneha have been roped in to play pivotal roles. Apart from this, the latest information we have got from the team is that the versatile actor Prakash Raj has joined the cast. Yes, the Thani Oruvan director made an official announcement regarding this with his tweet "For 3rd time aft mkumaran n Santosh sub.,feel proud joinin wit ever versatile @prakashraaj for a more powerful role in @24AMSTUDIOS project". Prakash Raj's role in earlier Mohan Raja's films, M Kumaran S/O Mahalakshmi and Santhosh Subramaniam have been powerful and this one is expected to be a more powerful one than the previous two. People looking for online information on Mohan Raja, Prakash Raj, Sivakarthikeyan will find this news story useful.